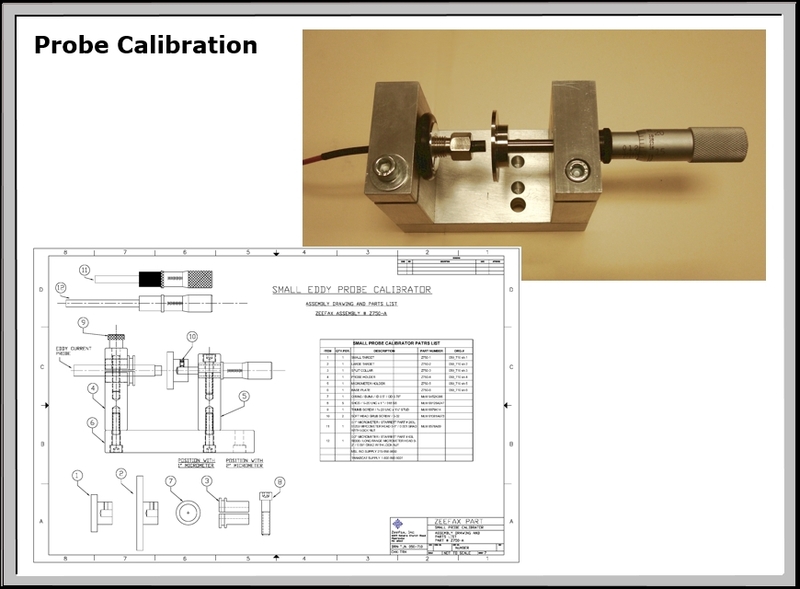 Regular Eddy Probe calibration and re-calibration is vital to the long term operational success of every system. Zeefax offer on-site calibration, maintenance and support, as well as sourcing and supply of a wide range of sensors and systems. We believe that the sensor or transducer is one of the most important parts of any system, yet sadly, it is often the part which is neglected in the rush to meet outage deadlines and close a unit following overhaul or outage. It is therefore vital that sensors should be carefully maintained and checked periodically to ensure continued good calibration and operation. To this end, Zeefax provide a periodic re-calibration, repair and replacement service, intended to ensure that the most important part of any system – the probes – remain in good working order. These services are not only available to existing customers to whom we may have sold complete systems, but also to any instrumentation user who may require support and assistance from time to time with eddy probe and sensor calibration, parameter setting, fault finding and replacement. Regular probe calibration, assessment and/or repair will ensure continued fault free operation, not only of the probes themselves, but also of the whole system which they feed. Bad data in – bad reports out !